SELF HELP is something people ‘want’ but seldom find the motivation to do it. They seek advice outside, they depend upon others, they seek someone to hold their hand, pick them up and drag them out of the mess that their life is, which is pretty much what everyone does, and why not? Humans are social beings after all, we are programmed to work and live in packs. As they say in Game of Thrones, when winter comes, the lone wolf dies, but the pack survives. Similarly, depression, negativity or lack of motivation is nothing but winter in many peoples’ lives. They want to see the sun of the summer, but at what cost? Sometimes, they think, that the sun lies beyond the wall, and they kill themselves to get there, but what they don’t know is that the army of the dead also lives and thrives in extreme winters. Winters that are even harder than the ones you face when you’re alive. What happens after death is just a theory, but surely many people are committing suicides everyday, many are ending their lives in God-knows-what-hope, but they are doing it. Doesn’t matter whether it is the Blue Whale Challenge or the failure of exam, or bullying by a fellow mate, something is wrong with the world, otherwise – humans weren’t that weak. Or we were always that weak, we just didn’t show it ever and chose to suffer forever instead. Anything can be possible, but what is important is that suicides, are happening. They are real. People aren’t helping themselves, and neither they are helping others. We mock someone’s disability, but only react with a ‘sad-smiley’ on social media. We laugh at the person across the street who can’t walk straight, but we pray for them on Facebook – what’s wrong with us? This world has become an illusion, where you feel only for what others feel. We feel the need to help flood victims, because someone did the same, but if someone’s dying in front of us, we just move on, thinking this is the job of the beggars – to beg. Even if you advice someone to stay safe, be positive, they will follow it for few weeks, but with time, lose the motivation to do it. It’s like weight loss – you can’t just go on beyond a saturation point, and that saturation point comes when you start craving for the foods you were eating before you put yourself on a diet. 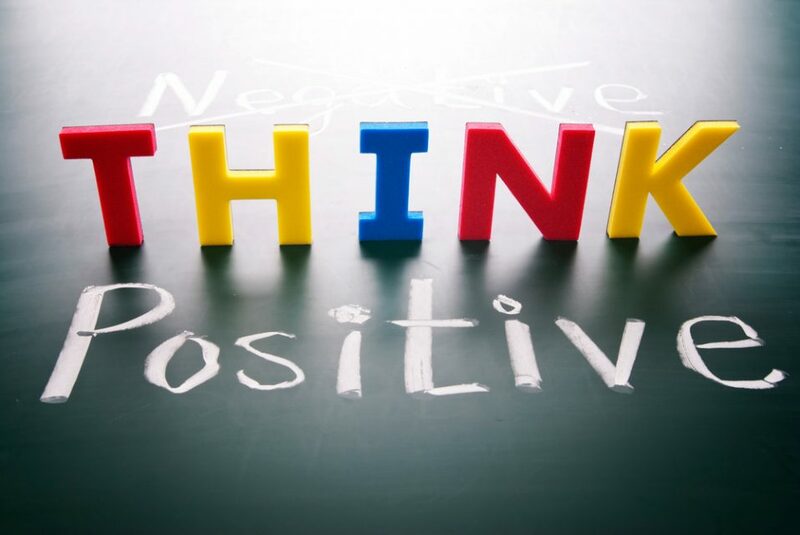 Negativity is the food that your mind loves to munch on, but too much negativity is like sugar – it can cause diabetes. It’s absolutely not necessary, neither useful and most importantly, sugar is what makes you fat – again. Thereby compelling your progress to fall back to zero. Same is the case with your mind – it won’t stop feeding on negative thoughts, until and unless you stop it from doing so. Self help books, articles, and posts are good. But only for a short term. It’s like a crash diet, you can’t keep the person on it forever, unless he’s motivated to follow it. With negativity, and your mind, you need to do the same. Follow the thoughts, follow the positivity and let it lead you, but you need to motivate yourself to be there everyday. You need to push yourself just like you push yourself to go to the gym. Reading self help books is just like watching a weight loss work-out video on YouTube – you think ‘that’s so amazing, it will change my life’, but if you don’t act on it, it’s useless. According to Chris Macleod, it is called The Epiphany Addiction, it means, every time we stumble upon something that we see as a life-changing discovery, we feel energized for some time, without really achieving any real life goals, and then we return to our monotonous world, back to that feeling of distraught and loneliness, ending up dissatisfied with our lives. This addiction isn’t good. Rather it’s the real killing machine, because without the fire burning inside you, you can’t keep your body warm. It’s like looking for warmth outside, when you can kindle it inside yourself. One thing to prevent this is – pick a task that you’re sure you will fail at, and try to succeed at it. Reality is not always blissful, and it’s really easy to do stuff that you know you’re good at. What’s tough is – venturing into a new field, where you have no idea, no insight of how things might turn out to be, and then try your hardest in it. You might succeed, you might fail, that’s different, but at least you will be confronted with reality that failure too, is a part of life, and it’s not so bad. Definitely not bad enough to commit suicide for. Always remember, you just have one life to live. What matters to you the most today, might become the most ignored and least important thing tomorrow – do not ever, ever ruin your life for something that fragile and something that temporary. As always Good written Motivation. I am a happy person who truelly care for all friends ,Help them to overcome their problems. Aso I have a good habit in which I wishes “Good Morning” to my friends n relatives on daily basis so that their day becomes beautiful. Although my life goes smoother n beautiful & I am always ready to help others but I am very poor to help myself. I become nervous & sad when any close friend leave me without a particular reason. I am very emotional & mature enough to give some advice on relationships & life (By reading your Quora answers). So sometimes my emotions just got heavier than my true nature & I feel lost in the crowd. It’s take time to heal myself from that pain but that time is really killing me from inside. I have gone through these pain multiple times. So what should I do in future to keep myself in happy mood & not getting into these painful situations..?? Don’t be like a candle that burns itself only to provide light to others, because it’s you who will burn at the end, and nobody will restore you or fix you once you’re broken. As it is said even in the flight announcements – wear your own oxygen mask before helping others! That one instruction is mandatory in life as well, where you need to first keep yourself positive and strong, before you can impart that positivity to someone else. Only you – YOU – are the one who can get yourself out of this situation, and no one else. This article is just on point and exactly what I wanted to read. I read the title and thought let me see what’s there. And I’m happy I did. Recently I was feeling low due to some personal reasons. And I would always call my boyfriend. He is always there for me patiently but this time he suggested me many ways to cope with it myself. We are in a long distance relationship, and live in different countries. So it’s not possible to talk always. So I felt really good after reading this post. Thank you for it. And also I love your writing style. I too have a blog and it’s growing slowly.